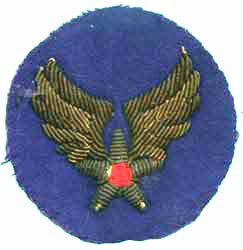 This section includes insignia of grade, chevrons, cloth awards, cap insignia, rating badges, aviation jacket insignia, etc. 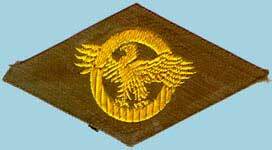 This is the most common insignia that I receive questions about. It was issued to members of the Armed Forces on separation from the service and worn over the right breast pocket while going home. If you have anything that is not pictured and willing to let me use it please get in touch. All Rights Reserved. All contents of this site may not be reproduced without permission by Dr. Howard G. Lanham. A special thanks to Chris Aleck, Ducan Campbell, Fred Eichorn (Institute of Heraldry), Jay Graybeal, Les Hughes, David Kaufman, Scott Smith, Bob Schwartz, Lars Kleine, Bob Capistrano and John Stacey for their assistance. Thank you for visiting my page at Angelfire. Sorry regarding all the pop-ups that are beyond my control and seem to be growing in number over time. Please come back and visit again!